Christina Bucci Vanderveer is a New York City-based attorney with expertise in compliance monitoring and implementation, risk mitigation, and oversight of internal investigations. As a founding team member of Tillid Group, Christina develops and directs testing of complex internal systems and processes. She also has significant experience conducting assessments of an organization’s operations, and working with relevant subject matter experts to devise reasonable and individualized solutions to address areas of weakness. As Associate Deputy Monitor of the Nunez monitoring team, Christina analyzes complex data sets, works with the Department of Correction in executing dynamic training programs for uniform staff, works on high-level policy development and analysis, and has developed advanced skills in formulating investigative strategies. 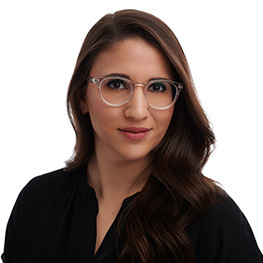 Prior to her appointment as Associate Deputy Monitor of the Nunez monitoring team and joining Tillid Group, Christina was an associate at Ropes & Gray LLP, focusing on government enforcement matters. In this role, she conducted multiple internal investigations, including investigations concerning potential anti-corruption law violations by public and private companies. As part of her work on those investigations, Christina developed and advised on the implementation of programs to facilitate compliance with the Foreign Corrupt Practices Act (FCPA). In addition, Christina has a range of experience in complex litigation across a variety of subject matters. While at Ropes & Gray, Christina served as pro bono counsel in Nunez v. City of New York et. al., 11-cv-5845 (LTS) (SDNY), helping craft the Consent Judgment, in conjunction with co-counsel. Christina holds a J.D. from New York University School of Law, where she was a Criminal Law Scholar, and participated in the Criminal Appellate Defender Clinic and Civil Litigation Clinic at the U.S. Attorney’s Office for the Eastern District of New York. Christina earned her B.A. from Rollins College in Winter Park, Florida.